Before you can bring a great meal to your table, you need to bring a great meal to your garden. 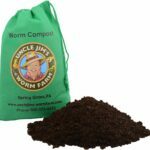 Tomatoes, soft fruits, and veggies require a special nutritional mix to ensure high Uncle Jim’s Worm Farm Organic Suppilesyields. 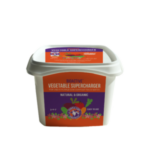 Our Tomato & Vegetable formula is pH-balanced with premium organic ingredients like bat guano, kelp meal, alfalfa meal, fish meal and humic acid, a naturally occurring organic material that is formed when organic matter decomposes. 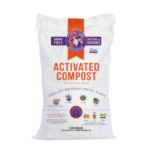 Humic acid helps with seed germination and may increase the uptake of important micronutrients. Best of all, FoxFarm adds 20 species of beneficial microbes to help convert fertilizers into vital plant food and fight off disease. Tomato & Vegetable is granulated and easy to use, and it provides gentle, slow-release feedings all season long. All of our Happy Frog® organic fertilizers are specially formulated to replenish the soil, lift the human spirit, and beautify the Earth, naturally. Bring your plants to life! Garden tip: Start applying Tomato & Vegetable as soon as you set out young plants in the spring. Use monthly through harvest time. For established plantings, scatter 1/2 cup for every 2 feet of plant height. Lightly scratch into the top inch of soil and water thoroughly. 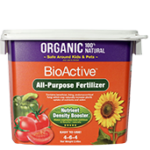 For especially abundant yields, supplement with our organic liquid fertilizer, Big Bloom™. Growing slowly but it has been in the hundreds. But it is working well for me.